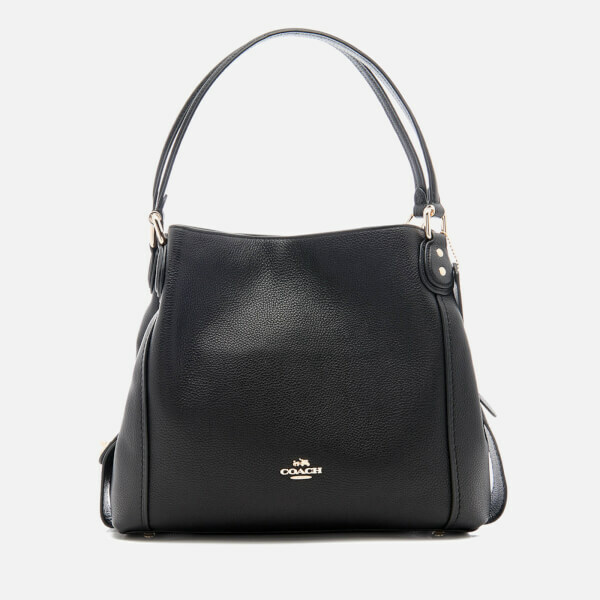 Women’s ‘Edie 31’ shoulder bag from luxury New York label, Coach. 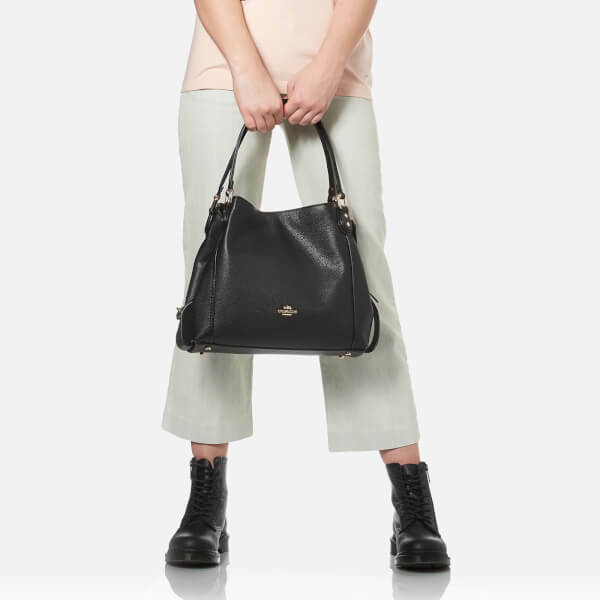 Crafted from refined pebbled leather, the bag comprises a trio of compartments, secured with a central magnetic snap fastening. 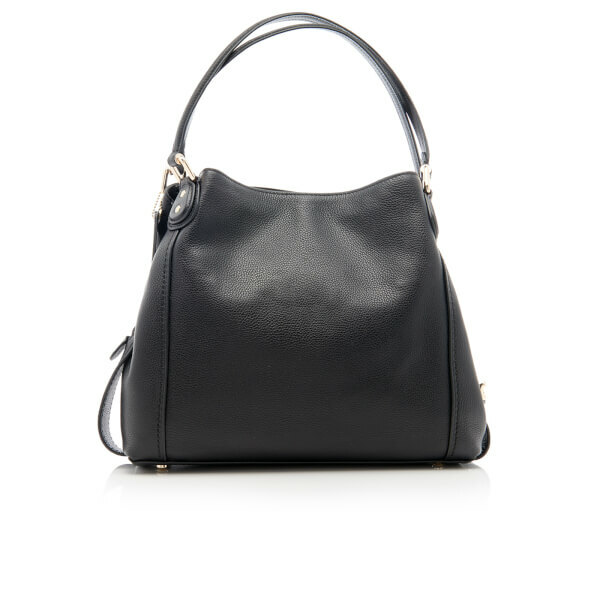 The bag opens to reveal a central zip-secured section, between two spacious, lined compartments at the front and rear. The interior features an internal zip pocket, multiple slip pockets and Coach branding. 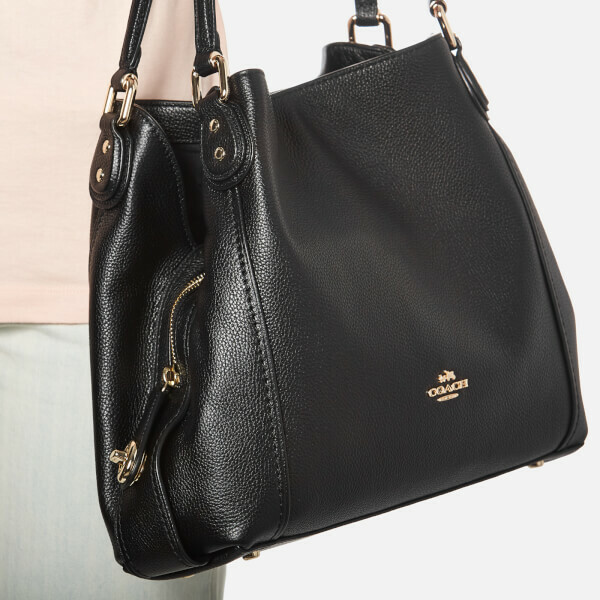 Transported via dual leather shoulder straps, the bag is complete with a detachable luggage label and gold tone Coach branding adorned to the front.